It's as simple as Scan. Pay. Go. Macy's is launching Mobile Checkout at all stores by the end of the year. Macy's is set to launch in-store virtual reality furniture shopping experience at select stores this summer. NEW YORK--(BUSINESS WIRE)--In Macy’s, Inc.’s (NYSE:M) latest example of its test, iterate and scale approach to innovation, the company is announcing details of the new technology initiatives highlighted by chairman and chief executive officer, Jeff Gennette, at the Shoptalk Conference. Mobile Checkout, powered by the Macy’s app and designed to speed the in-store checkout process, is now slated for a nationwide rollout to all full-line stores by the end of this year. In addition, an augmented reality furniture shopping experience will be incorporated into the Macy’s app with a rollout beginning in April. Macy’s is also scaling to an additional 60 locations a successful Virtual Reality (VR) furniture pilot, which allows customers to virtually design and experience the interior of a room for which they are purchasing furnishings. The expansion is scheduled to be completed by fall 2018 and will cover a significant portion of Macy’s largest furniture departments. Macy’s Mobile Checkout is as simple as Scan. Pay. Go. 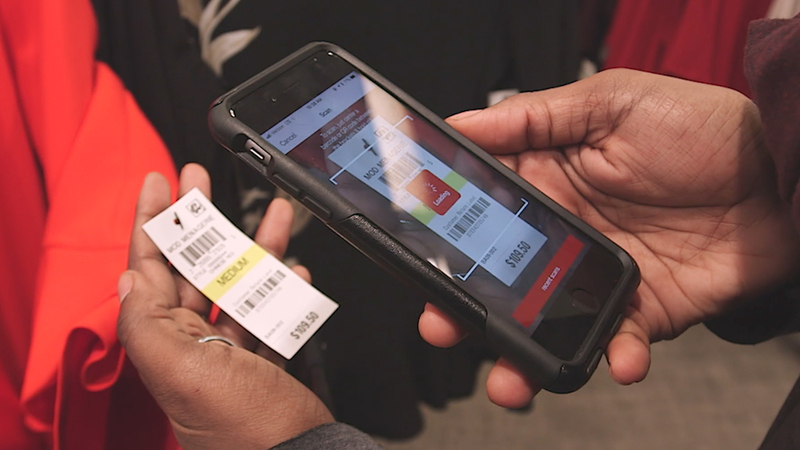 First tested at the Macy’s Woodbridge, NJ, store and powered by the Macy’s app, available for iOS and Android devices, Mobile Checkout leverages the app’s in-store mode to power the self-service feature. To use the service, customers will need to download the free Macy’s app and join Macy’s free Wi-Fi network. As they browse the assortment, customers can scan the items they wish to purchase using their phone’s camera and the app’s built-in scanner. As part of Macy’s ongoing price simplification strategy, the app will easily allow customers to apply relevant offers and rewards to eligible purchases. Once they are ready to checkout, they can pay on the app with their pre-registered credit card to complete the transaction. From there, they will walk to the special Mobile Checkout counters set up in close proximity to store exits to have associates verify the purchase, remove security tags, and bag their items. The entire process is quick and easy. Most merchandise in stores will be available for mobile checkout, with the exception of certain product categories as noted per store, such as leased departments or fine jewelry where a sales associate is needed to complete the purchase. The company’s Bloomingdale’s division will begin testing the Mobile Checkout feature later this month at its SoHo location in New York City, ahead of future implementation across its namesake stores. Furniture is traditionally a high touch business, and the new Virtual Reality in-store furniture design experience, powered by Marxent's 3D Cloud and VR solution, is reducing customer worry over fit as they test out potential purchases virtually. Piloted at three locations including Macy’s flagship store in New York City, and at Macy’s stores in Paramus, NJ, and Dadeland, FL, the furniture VR technology will be scaled to an additional 60 locations nationwide by fall of 2018, covering Macy’s largest furniture departments. “Consumers today don’t just adopt technology, they absorb it at a tremendous pace, but they want it to be useful to their needs. Like a lot of brands, we’ve experimented with VR in a number of areas and we’re excited to have found a practical application that has proven to drive sales. In furniture, we are giving our customers a new tool that will allow them to virtually test out home furnishings, helping them make more informed decisions on these important purchases,” said Gennette. Macy’s 3D furniture experience allows customers to place furnishings in a virtual room they design using a tablet. First they will map out the basic dimensions and shape of the room for which they are buying products. Then they will select the items they want from Macy’s furniture assortment and lay them out virtually in the room. Customers can refine the design as needed until they find what works best for them and finally test it out virtually by stepping into the room, using VR headsets to get a true-to-life experience that allows them to walk around the coffee table, couch and other furnishings. 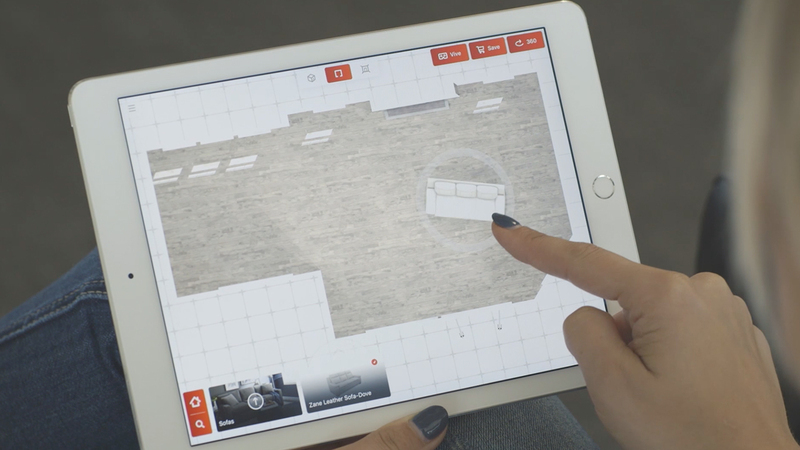 Additionally, an augmented reality experience in furniture shopping, also powered by Marxent's 3D Cloud, will be rolling out to the Macy’s app starting next month, allowing customers to virtually place Macy’s furniture products in their actual living spaces. These enhancements are only the latest examples of Macy’s ongoing work to provide its customers with technology that enhances their shopping experiences. Implemented with the customer in mind and combined with a human touch, these initiatives allow Macy’s to create friction-free experiences in store and on the go.